Are you new to the fashion industry? You may have already found it impossible to find any information on how to navigate the many processes and suppliers involved, and to top it all off everyone seems so secretive. If you are confused or frustrated then you have come to the right place! We have met 100’s of emerging designers and have guided them through the entire process. Before we start developing your designs, we encourage you to explore below the 4 different ways we can help guide you. The Information Session is the perfect starting point: this webinar is designed to give you an overview of what to expect and how to prepare for development and manufacturing. We encourage you to watch this webinar if you are new to the Industry, recently studied fashion, or at a stage in your business where you want to take that next step to larger scale production. The Information Session also comes with a complimentary 15 minute catch up call to plan the next steps to launching your brand. Business Review: This is a great second step, and during this meeting we will go into the details about your business idea and give you guidance on the next steps to take and build a personalized road map for you to follow. 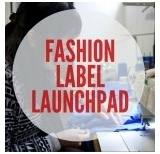 You can then choose from the Fashion Label Launchpad. 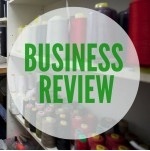 We can discuss in the Business review which might be the better choice for your business and learning style. I look forward to talking to you soon and assisting you through this journey. Are you looking for a successful career in the Fashion Industry? Do you want to start your very own Label? 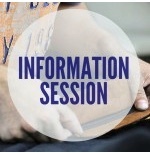 We have put together this Information Session to answer all of the most common questions and give you guidance before you take the next step. CLICK HERE to sign up for our webinar. Do you want to expand your current business? Need to talk to an industry professional to discuss and dissect the details, and to give you some expert advice? Our ultimate Industry training program to guide you through the Product Development and Manufacturing processes. Learn how the professionals do it and join a community of like-minded creatives!